The Booth is officially a certified Women’s Business Enterprise. We are proud to be recognized by WBENC and excited to be among other worthy MWBE’s that have worked hard to build their businesses! Lego was the theme with Spoon and Impact XM. Using these building tools each told their stories in a unique and tactile way. Clients ask us: Why should we choose you? What makes you stand out? Three answers: Quality photos, fair pricing, easy to book. The photos have to be good. That's a given. But it goes beyond that. Though we know price is key, we believe the way we have simplified this process for our clients is a game changer. Our clients always know with absolute clarity what they are getting and when they are getting it. Our triple threat of photographers, production staff and customer support make sourcing photography the easiest item in that stack of 50+ other tasks you need to complete before your day starts tomorrow. So, basically, you want to do something easy today? 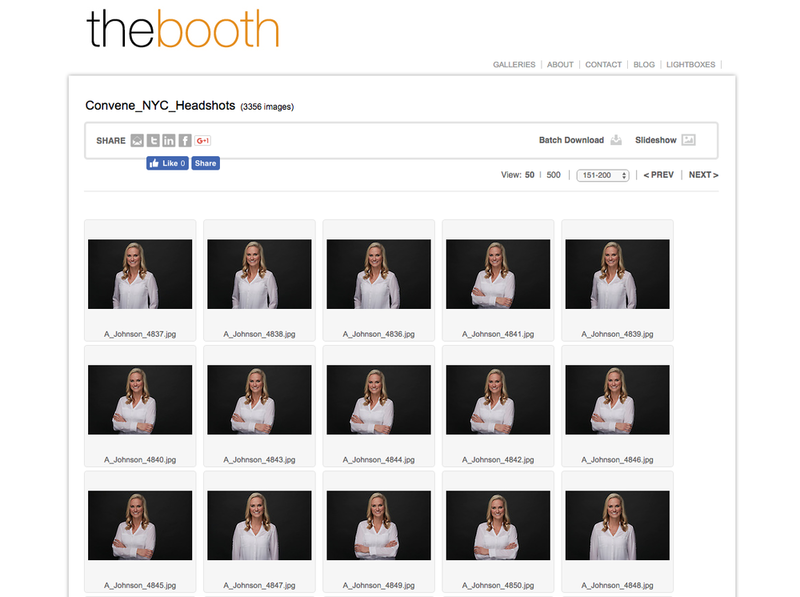 Book headshots with The Booth for Business.